It takes two keys to sign each Orderbook transaction. Users own the first key, and the platform owns the second. Requiring multiple signatures makes our platform difficult to hack. Hackers would need to steal both keys to gain access. Requiring two keys does not save users from faulty hard drives, however. Nor does it prevent laptop theft or forgotten passwords. To tackle this tricky problem, we use a third-party authentication service called SecondFactor. SecondFactor stores a third and final key. 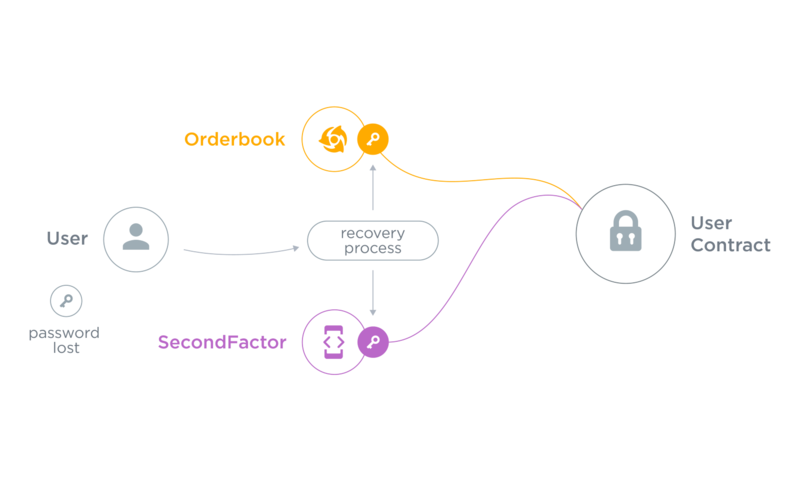 If you lose your account password, SecondFactor can help restore your account. Your account requires at least 2-out-of-3 keys to perform transactions.